If you’re like most consumers, you look for the ENERGY STAR rating when you shop for appliances, since it verifies products that use 20 to 30 percent less energy than their counterparts. Here’s what you need to know about choosing and buying energy-efficient windows that will cut your electricity bills and make your home more comfortable overall. U-factor– indicates how easily heat flows through a window. The lower the U-factor, the more insulative the window will be. SHGC (solar heat gain coefficient)- measures the amount of heat-causing light that can travel into a home through the window. Lower numbers here signify that less solar heat is allowed in. Air leakage rating (AL)- measures the amount of air allowed through the frame and joints, per square foot of window space. Windows with a lower AL rating allow less air to flow through. In northern climates, a low U-factor and higher SGHC are necessary to receive an ENERGY STAR certificate. This allows your home to be properly insulated and take advantage of passive solar heat from the windows. In southern climates, the minimum U-factor rating for ENERGY STAR certification is slightly higher, but the SGHC is lower. This reduces the amount of excess solar heat in the home. That’s why it’s so important to buy the right ENERGY STAR windows for your location. While all ENERGY STAR window requirements are stringent, the requirements for skylight windows aren’t quite as strict as they are for other windows. The U-factor can be considerably higher, and the SGHC doesn’t have to be as low in Southern locations. Even though the requirements are slightly more lenient, you should still pay attention to these ratings. Having a low U-factor skylight installed in a Northern home will allow a fair amount of heat to escape through the window. In addition to meeting the regional energy efficiency requirements, windows must also be rated for air leakage in order to be ENERGY STAR certified. All windows, including skylights, must have an AL rating of less than 0.3 cubic feet of air for each square foot of window space. 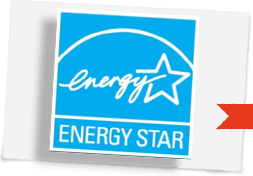 Looking for ENERGY STAR Windows ratings is a smart place to start when you’re shopping for windows. That said, choosing a window just because it says ENERGY STAR isn’t the best strategy, because some ENERGY STAR windows are much more efficient than others. Some are much more durable and some are worth the investment while others are not. Work with a window professional to help you choose the best windows that will be a long-term investment for your home.